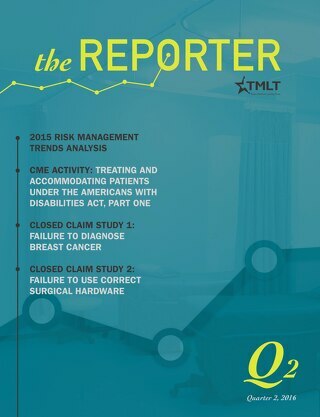 Want more closed claim studies? 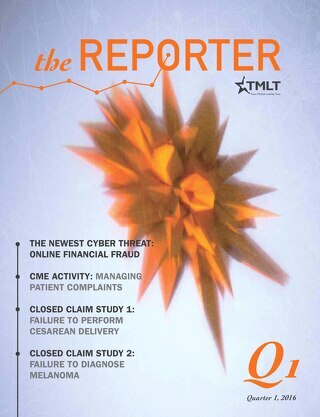 Subscribe to the CASE CLOSED newsletter. 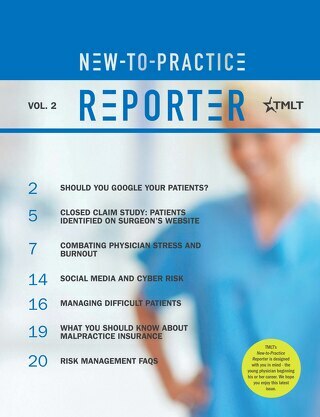 Should you Google your patients? 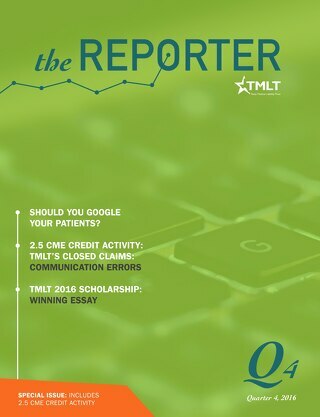 ; TMLT's closed claims: Communication errors; TMLT 2016 scholarship winning essay. 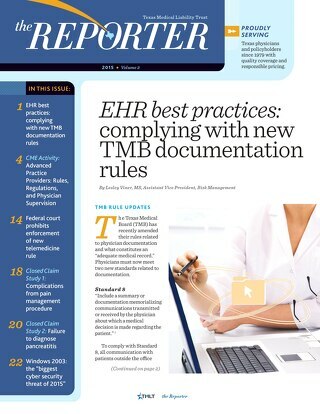 EHR best practices: complying with new TMB documentation rules: Advanced Practice Providers: Rules, Regulations, and Physician Supervision (CME activity); New telemedicine rules. 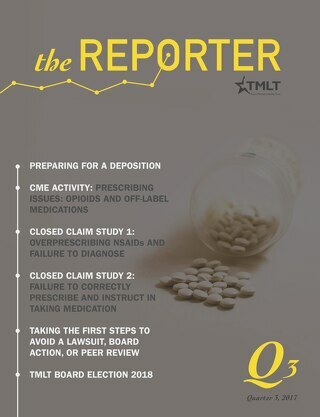 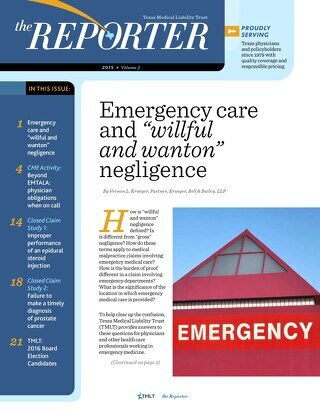 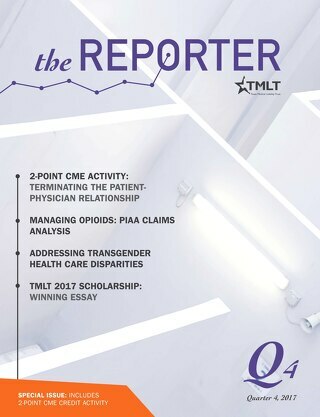 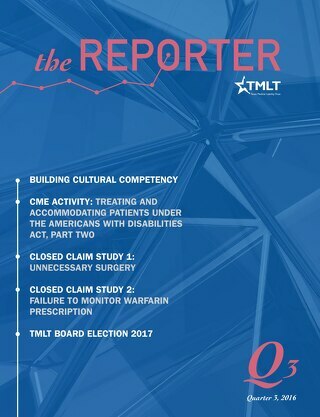 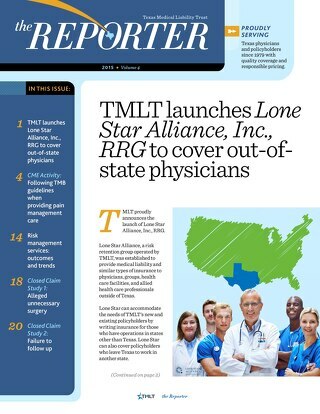 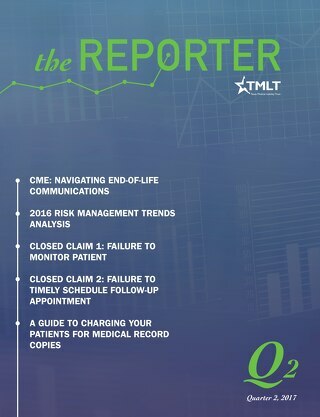 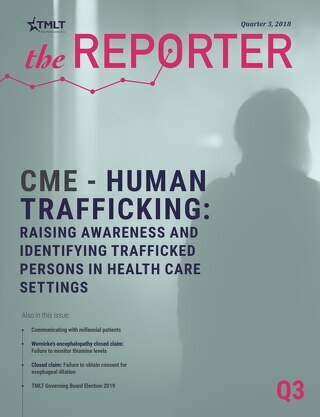 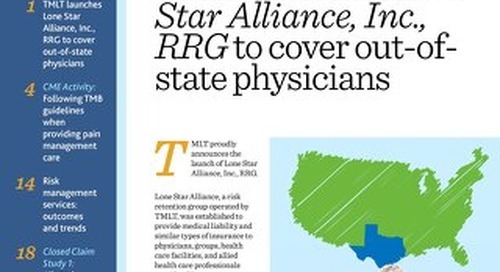 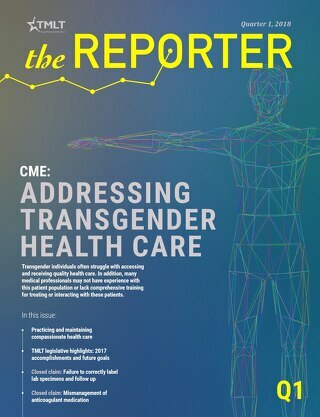 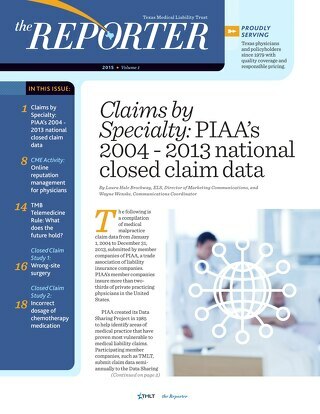 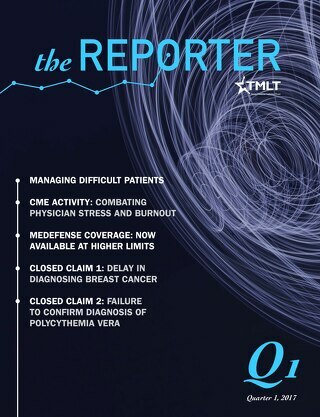 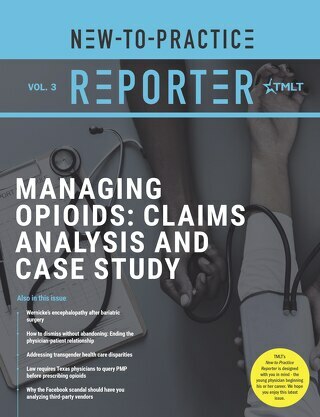 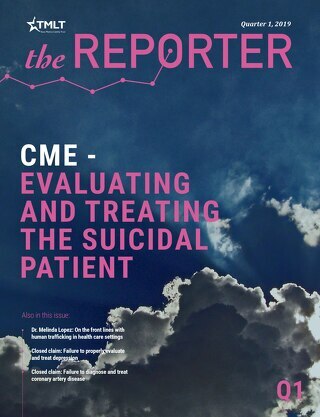 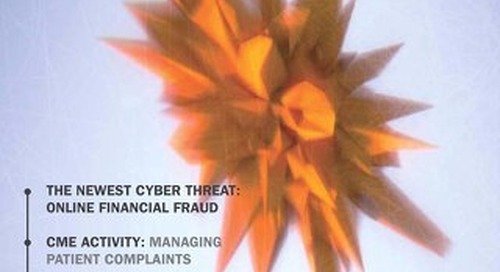 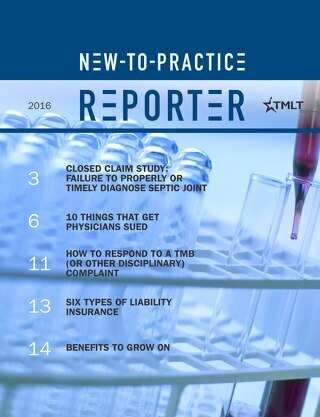 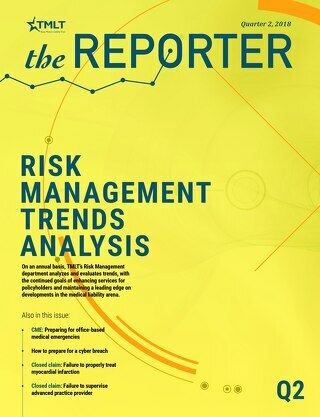 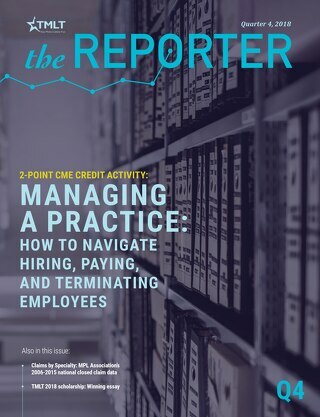 Claims by specialty: PIAA's 2004-2013 national closed claim data; Online reputation management for physicians (CME activity); TMB Emergency Rule: What does the future hold for Telemedicine?